There are hundreds of things that make our jobs as professional video producers possible. High-end hardware, powerful software, and a mind-boggling amount of little things; small odds and ends like clamps, mounts, poles, or stands can make our job much easier. 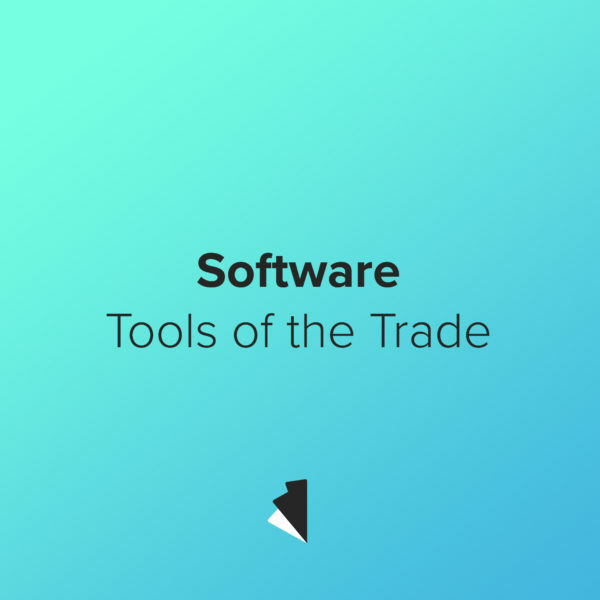 But it wouldn’t be possible at all without a few key pieces of software that we use every day. Some of this technology does the “bare minimum,” so to speak, to give us the power to edit video together. Many more programs, however, help make every other aspect of the business run smoothly. Keep reading to learn more about what digital tools help us do our jobs. Frame.io is the unsung hero of our office and the offices of the marketing managers that we work with. It lets us upload edits website for quick review by clients. It even includes time stamped comments so our colleagues can give more specific notes, like: “This clip is great, can we move it to earlier in the video to highlight it?” Frame.io has an Adobe Premiere plug-in that lets us upload drafts straight to their server from Premiere, no export necessary. This means we can avoid hours of low-res review exports and full hard drives. Without Frame.io, video review with clients would be a nightmare. Read: We love Frame.io because it makes video review easy for both our clients and us. In our line of work the Adobe Creative Suite of software is a no-brainer. We use Premiere and AfterEffects every day, 52 weeks a year, so it goes without saying that they’re a necessity. But that doesn’t mean we take it for granted. We love how all of the software works together to make complex projects for our clients come together smoothly. Read: Adobe CC makes our job possible, literally. If someone says “Vimeo” your first thought is probably “high-end YouTube.” And you wouldn’t be wrong! For most people Vimeo is where they watch short films, 4K surf movies, or artisan shoe maker testimonials. But for us it’s how we get you, our clients, your final video. Vimeo offers the ability to download final edits through password-protected portals, which makes everyone’s job easier. Read: Vimeo’s high-quality video hosting means we don’t have to ship you a flash drive with your final video. Here at Waves Media we juggle a lot of projects, and each project has a gazillion components. From ideation to final delivery there are a lot of things to remember before we deliver the best product to the companies we work with. Asana makes remembering all of that much easier. With clean web design and a powerful mobile app, Asana is a task manager that’s organization matches the scope of our productions. Read: Asana keeps up with our constant tasks, and sub-tasks, and sub-sub-tasks with ease. Your office might use it, too, because it’s ridiculously helpful. At its core Slack is a messaging app with mobile and desktop apps but it helps us do so much more than just talk shop. With Slack we can organize our conversations by topic (i.e. pre-production, production, marketing, etc. ), message individual team members, or send gif’s to lighten the work mood. It even integrates with Frame.io so we can reference specific video revisions in different channels. Read: Slack helps us keep work at the office and personal stuff at home (in the iMessage app). It might seem like a small deal to you, but duplicating and backing up our footage and projects is a very, very big deal to us. In order to ensure that we never lose work we back it up to a hard drive, duplicate that hard drive to a redundant drive, and back it up to the cloud with Backblaze. The second step, creating a redundant copy, is where Carbon Copy Cloner comes in. It ensures that both hard drives contain the exact same data so we don’t have to worry about it. Read: Carbon Copy Cloner, peace of mind is worth it. Many of the projects we work on involve multiple cameras recording the same subject at the same time, i.e. multiple-camera-setups. Multi-cam gives us the option to cut between feeds so that the final product only shows the best shot at any given time. The technique is infinitely useful, but it comes with a price. Imagine three (or more) cameras all pressing “record” at slightly different times, five times throughout a 7 hour seminar. Now imagine trying to match up all of those takes so that when you cut between different camera angles the time matches perfectly. It’s not easy. That’s why we use PluralEyes. It does all of that painstaking work for you as soon as you click “synchronize.” It’s pretty neat. Read: PluralEyes saves time and is more accurate than us humans. What more could you ask for?